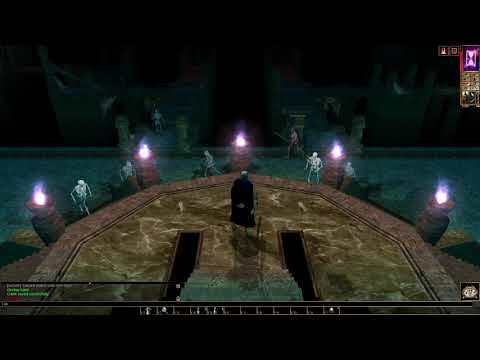 Noah Caldwell-Gervais the guy who did that look at baldurs gate video i posted awhile back and also did a pst video as well has now done a look at all the official content for nwn. my only real issue with this video is he does compare darkness over daggerford to sod which rubbed me the wrong way but other then that it's a pretty good look at the series. "Classic" is very subjective, and I'm sure he doesn't literally mean no one's top 10 list (just most), but his overall point, which is true, is that the game does tend to be overlooked alongside other RPG classics like Baldur's Gate, Fallout, or The Elder Scrolls. I definitely agree that there are plenty of alternatives to taking Tomi (multiclassing, cross-class skills, certain spells...), and indeed he doesn't seem to have the best knack for tackling technical challenges the game throws at you, seemingly opting for the easier route (such as only making it through Baldur's Gate on "story mode", by his own admission) while preferring to explore the game's narrative options and puzzles. In virtually every other way, however, I think his analysis of the OC, and indeed all the adventures he covers, is thorough, accurate, and enjoyable. It's a good video covering the care and creativity of the various campaigns and modules, and well worth sitting through IMO. I'll have to go back and look for that bit, but I seem to recall him saying that DoD hits the mark much better than SoD did in evoking that classic BG feel. Imagine being pompous enough to think anybody wants three hours of your condescending prattle. I bet that sort of ego would come in handy! Its like hipsters don't even D&D. you don't have to watch the whole video. he has time stamps so you can skip to whatever game you want to see his thoughts on. this has been how his videos have been since forever. I thought that was pretty fair evaluation except he should have moved from NWN to all the community content and shown how that did things so much better rather than spend 2 hours on NWN2. That's a different game ,despite the name, and doesnt have half the breadth an depth of NWN community made stuff. . NWN shines Because of the toolset and community content . It wasn't that bad but you have to understand that content creators like this person do it as a job and aren't experts in the subject matter. Experts in subject matter usually don't create engaging content either, so most content in any subject is usually not too accurate or in depth. The part where he questions his own fan status because he didn't know of MoW is somewhat self aware in that regard. He also acknowledges several times that the true thing that sets NWN apart isn't the official content but then goes back to critiquing the official content. It's more of a review for casual observers and in that regard it's fine.